SWALE work very closely with a 16 year relationship to reduce the huge capital outlay required to build the structure and finishes of your home. Impermanence is one of the essential doctrines or three marks of existence in Buddhism. SWALE homes give you the ability to take your home and family to wherever your life takes you, while reducing your footprint on the environment. Using large NEW shipping containers custom built in Vietnam, currently not seen in Australia, provide a Henry Ford production system that creates economies of scale to severely reduce the capital outlay. This then allows these homes to have the high finishes often left out of building due budget constraints or to running out of money due to variations. SWALE’s concepts allow you to afford a higher quality of finishes. Allows you to saves on huge soft costs such as design and consultants. 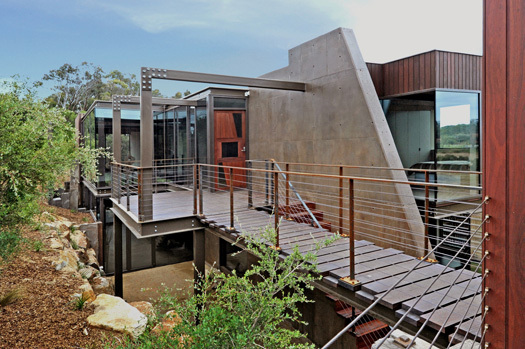 Also provides incredible engineering strength to obtain cantilevers for free. We have the ability to build in remote locations without housing labour. We also have the ability to build on any element from water to cliffs. We believe in your health and the home should be a place to relax and rejuvenate. Tailored to environment, lifestyle, desire and budget.